Gasteria brachyphylla (Gasteria brachyphylla): growing, planting, caring. A small Gasteria, popular as a houseplant. 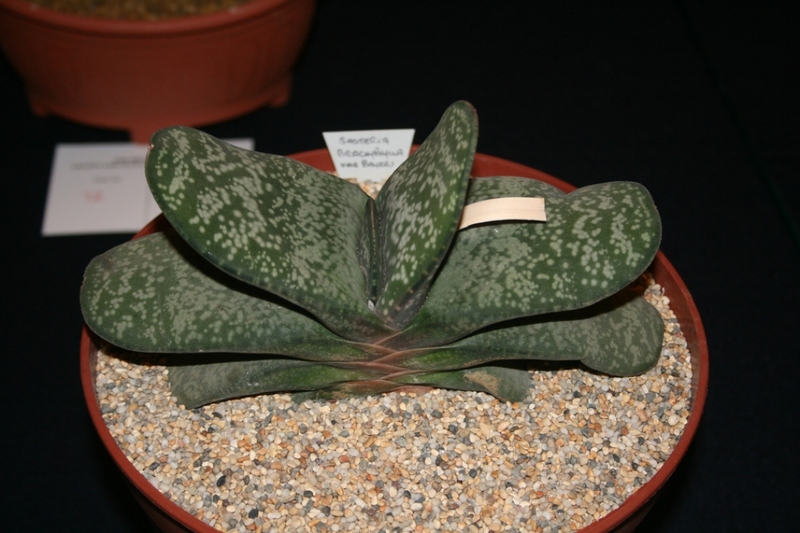 This species of Gasteria has its strap-shaped leaves in two « distichous » - or opposite - rows. It very closely resembles its two relatives, Gasteria pillansii and Gasteria disticha to the north, but can be distinguished by its very shiny, smooth and shorter leaves while its two relatives' leaves are rough with tiny tubercles). It is proliferous, and has 12–22 mm long pink flowers which appear around September.